If you desire is to avoid technical problems with your website, then pay very close attention to these 3 mistakes every entrepreneur needs to avoid. This is actually a simple mistake that so many make. Here’s what I mean: most people just install plugins without thinking that there is the possibility that doing so could cause their site to crash or stop working properly. That means if you make this mistake you run the risk of having a plugin conflict, which can take a lot of time to fix. You may even have to hire a developer to help fix the issue. You need to understand this spells the difference between success and failure because if you don’t you can potentially damage the code on your website, and waste a lot of time and money trying to get it fixed. The next step here is to create a developmental or staging area, so you can test plugins before installing on your main website. You can do this with a plugin called “WP Staging”. Here’s a quick surefire mistake every successful entrepreneur must avoid: most people don’t have their website backed up properly. If you make this mistake and something goes wrong with your website, like its get hacked or crashes, you could lose your entire website. You need to understand steering clear of this is key because if you don’t you may completely destroy your website and have to build a new one. I’ve helped so many people rebuild websites they lost due to not having a proper backup. You don’t want to invest hundreds or even thousands of dollars in re-building a website you already had. This is a waste of your hard earned money… (but we are happy to help if this happens to you). So the thing for you to do here to avoid this mistake is to make sure you have a recent of your entire website. If your website is built with WordPress this includes the database as well as the file. Mistake #3: Storing Your Backup On The Server. You need to understand this is all about knowing where to store your backup once you have one. And what this really means is if you make this mistake you really don’t have a backup. This is the equivalent of taking the spare tire out of your car and keeping it in your house. If you get a flat out on the road the spare is no use. The same thing applies to your website back up. Steering clear of this spells the difference between success and failure for everyone because if you don’t then you will have no way to restore your website if the server goes down. You need to make sure you store your website backup files in a 3rd party location like Dropbox or amazonS3. Sometimes we all need a little kick in the rear to get started with WordPress Plugins, especially if you ever got mixed up with plugin developers when you tried to avoid technical problems with their website. This article gives you the juice to get moving faster. 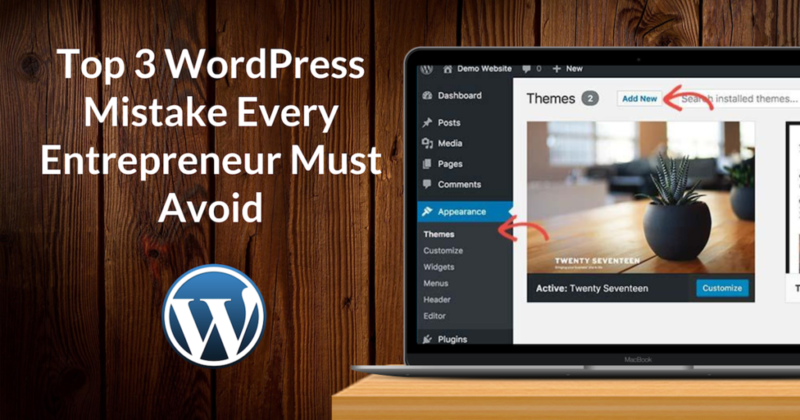 Use these 3 mistakes and how to avoid them so you can close in and finally reach your WordPress Plugins goals and avoid technical problems with their website.